Yeah, I confess — I bought this album because of the cover. Sonic Boom Records holds an annual clearance sale where new, unopened vinyl records are steeply discounted. I stopped when I spotted Bobby Long’s A Winter Tale as I flipped through the stacks. “Hmm, he’s … photogenic,” I mumbled to myself. Having never heard of him, I made a note to check out his music later. Bobby Long is a Brit, but his music is Americana. He signed with ATO Records in 2010 and released two albums and two EPs on the label. I found it remarkable that he managed to snag the attention of a large indie label such as ATO, rather than graduating up to that level. Then I found out he’s buds with actor Robert Pattinson of the Twilight movies. One of his songs, “Let Me Sign”, wound up on the Twilight soundtrack. That would help. A few streams and two days later, I went back to Sonic Boom and picked up A Winter Tale and its follow-up, Wishbone, for $5 each. These kinds of … “impulse” purchases are prone to a Halo Effect, so it’s tough to gauge the effect of the cover art on my opinion. I can say this much — he’s not bad. Long’s rough-hewn voices comes from the Tom Waits school of delivery, and his writing is as rustic as anything you’d find on a Whiskeytown album. But he wouldn’t knock Jason Isbell or Sturgill Simpson off of any critics’ lists. If any criticism can be lobbied at Long, it would be his music is probably too safely Americana. Subscribers of No Depression journal would probably eat it up. I’m not sure how much of a blip he would register outside that demographic. Wishbone is the better album, but its cover photo is not as … compelling. 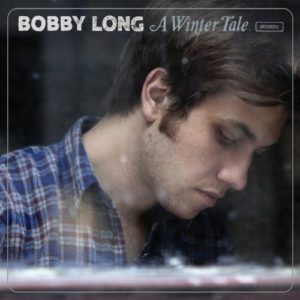 All that aside, Bobby Long turns out to be a satisfying discovery.